Fans of Funko’s addictive collectible POP! 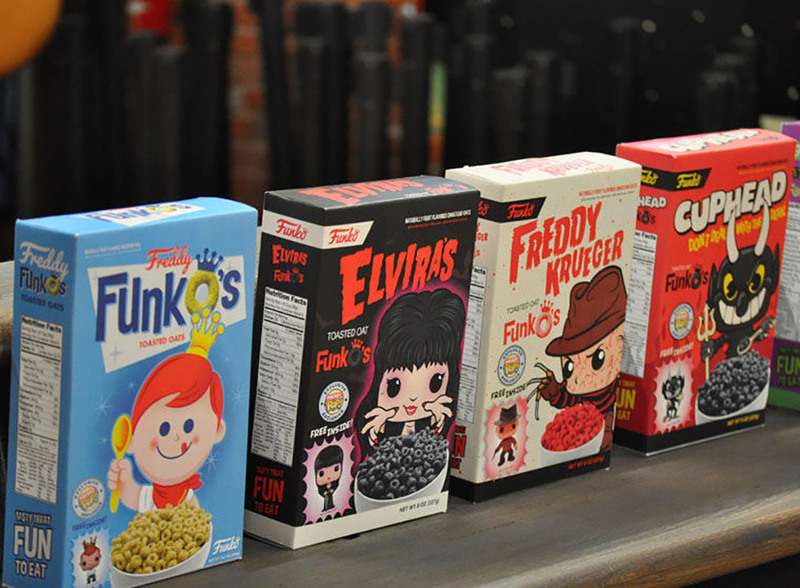 figures will be thrilled to know that the company is working on its own line of cereals, each featuring wonderfully-illustrated retro packaging, and a mini POP! toy inside. Some will even change colors when you add milk.